Deventer is a Dutch city with an abnormally high crime rate and home to the Charles Dickens Festival. The city is also has a fantastic store that not only sells all sorts of games but also has an impressive vinyl selection to drool over. What draws me back to the city time and time again is that I stumble upon something unexpected with each visit. Last Friday, when I found myself in the basement of De Hip, it was no different. It’s brick walls were covered by posters of scantily clad women and I was forced to stand behind a pillar erected in front of the stage drinking miniature brewskies. But with Ten East, Fatso Jetson, and Yawning Man providing the evening’s entertainment, the setting became moot. Ten East, a band melding Gary Arce and Bill Stinson from Yawning Man with Pieter Holkenborg and Erik Harbers from Automatic Sam, started the evening off a little earlier than advertised. Because I’m not one to show up to places any earlier than necessary, I missed most of their set. I was pretty bummed out about this and It took me about a song to get over this fact. Luckily the band was able to convince me to free my mind in their second song, which was exactly what you would have expected from this combination; watery guitars from stage right and a slightly more aggressive counterpart over at stage left all held together by Stinson and Harbers with automatic ease. When Ten East finished, my new favorite drummer Tony Tornay took to the stage with Mr. Lalli and his son, Dino. In these circles, what I’m about to say is probably blasphemous but here goes, I don’t actually like Fatso Jetson that much. The funny thing about this, though, is that I’ve seen them live three times and every time they absolutely, one-hundred percent, kill it. Where songs like “Bored Stiff” don’t do much for me on record, in a live setting they burst open at the seams. The same goes for the surf-punk shuffle of “Salt Chunk Mary’s” and the way Mario and his son shot lead vocals back and forth to each other in “Swollen Offering,” made for one helluva impact. So once again, Fatso Jetson showed me that apparently I’m wrong about not digging their records and I’m cool with that. Now that Fatso Jetson had turned up the temperature to desert-like levels, the moment was ripe for Yawning Man to take their turn at melting minds. Their set kicked off with “Catamaran” and continued to ascend from there. The band touched on “Rock Formations” just as much as “Nomadic Pursuits” and even treated us to a 'Waterways' jam. Somewhere during this hour of humid desert rock, Yawning Man shared a new tune called “The Wind Cries Riley Lynn” (did I hear that right?). 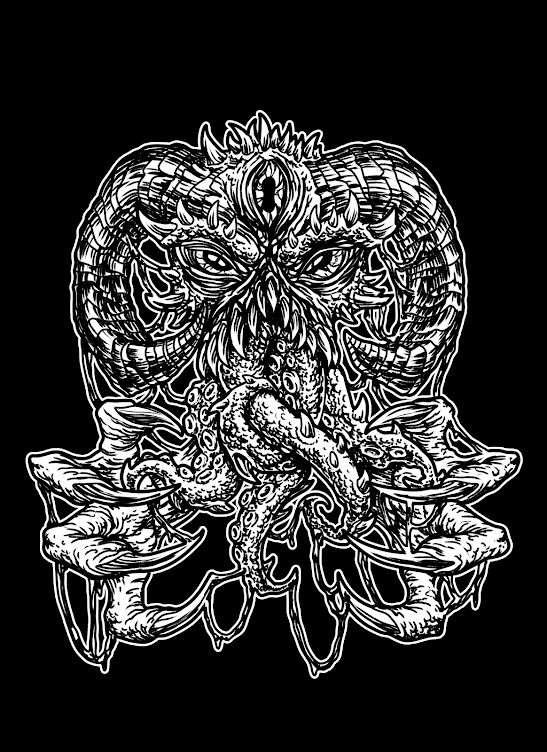 Stylistically this song used “Nomadic Pursuits” as a point of departure, slowly drifting along with a thumpy bass line and fluid guitar work. Elements of Brant Bjork’s “Jalamanta” sprung up here and there and if that’s the direction the band is going in, then that new album of their’s better come sooner than later. All in all a good night. 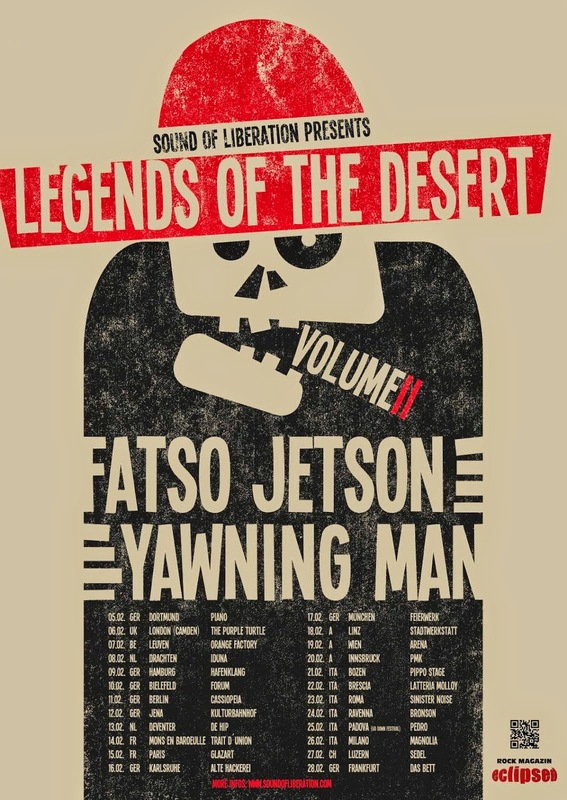 The Yawning Man/Fatso Jetson combination is a recipe for guaranteed good time jams. Though these bands fall into two different genres they seem to cater just fine to the public, regardless who they are there to see.